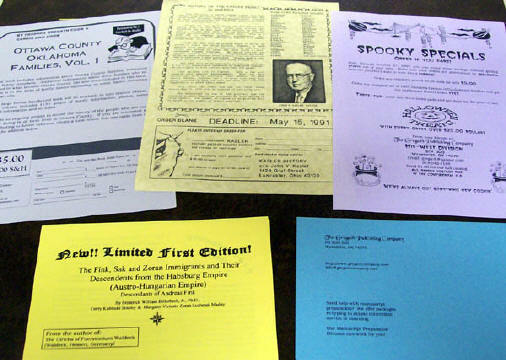 Economically flat printed, 8½x11" colored paper, from your layout or ours. Artwork, drawings, photographs, maps, signatures, order blanks, etc., may be used at no additional charge. Available in white and yellow, as well as many other colors, at these prices, available on request. The content can be based on a tear sheet, include title, author, ordering information, press release, quotes about the work, where to meet the author (events), or anything you can imagine. Layout fees may apply. Second side printing available at reduced rate. Flat offset printed on any other size sheet are available for additional fees. 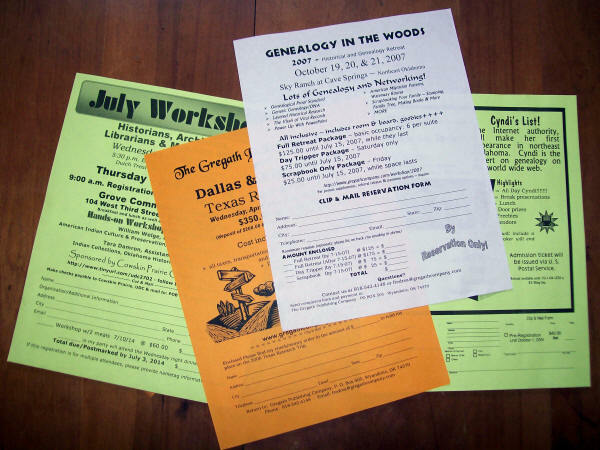 Other options, such as printing both sides, folding, and mailing are also available. These may be reproduced in any quantity - see above for cost. 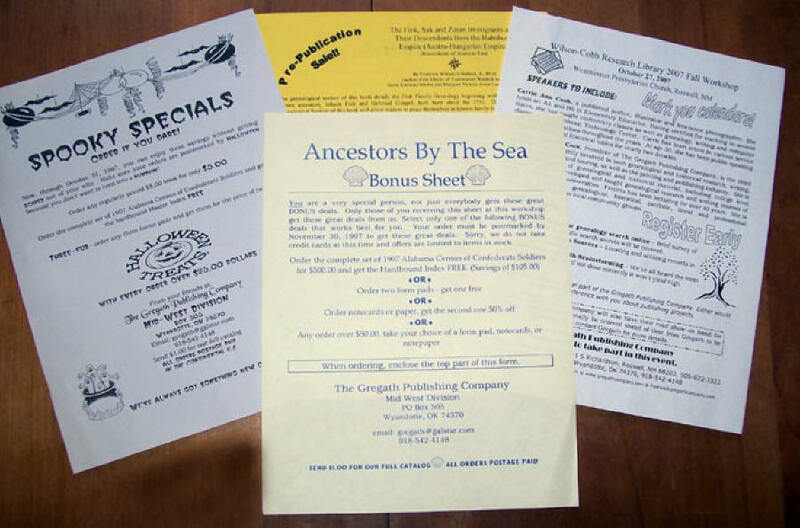 A few examples leaflet and self-mailing sell sheets produced by Gregath over the years.